This is the local pastry of the beautiful town of Bonifacio on Corsica, called, Pain des morts. Which, when I read about it in the guide book, naturally we had to find some for breakfast. 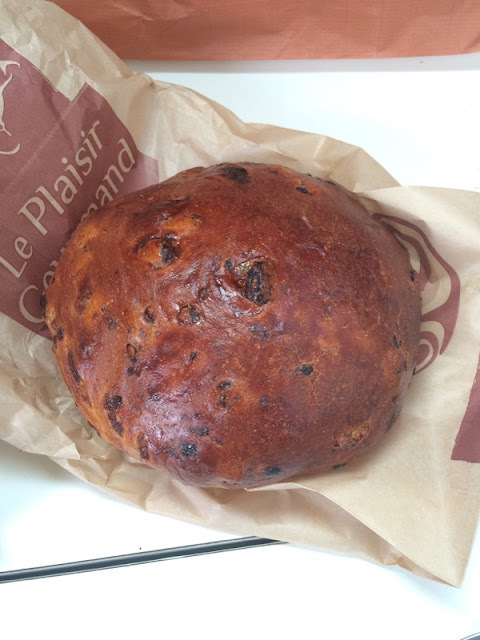 It’s nice, dense, with raisins and nuts. Apparently traditionally it was made only on the Feast of the Dead, 2 November. But now it’s just a Bonifacio thing. 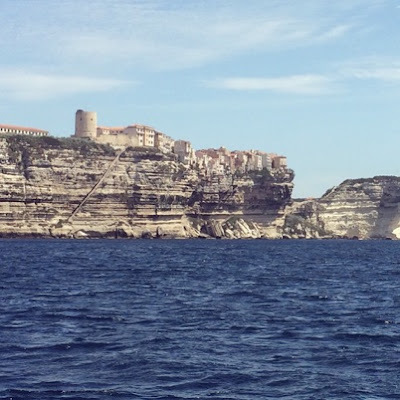 Here, by the way, is a shot of Bonifacio as we sailed past. 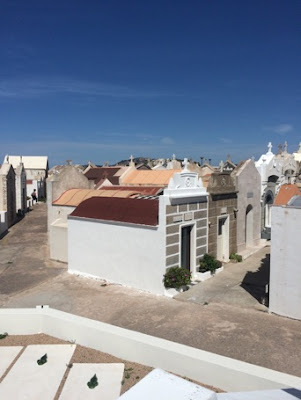 And in honor of bread of the dead, here’s a shot of the town cemetery, which is perched way on the outer edge of the cliff and has one of the prettiest views of any necropolis I’ve ever visited.